elliven studio: Decorating with Silver for the Holidays! I can hardly believe that it's that time of year! 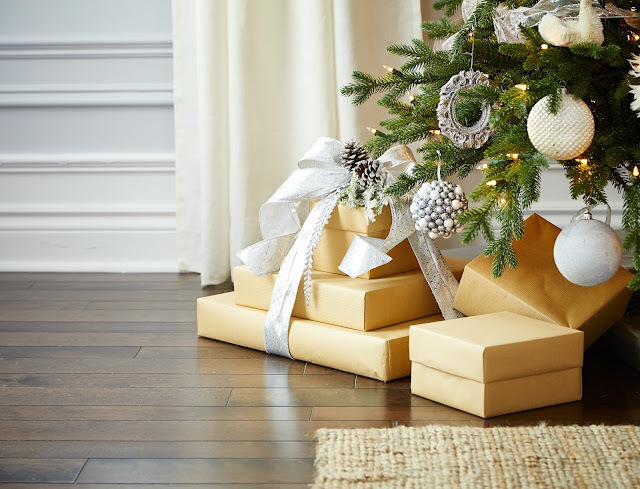 Yes, it's time to deck the halls, bake sweet treats and crank the holiday tunes! Falalalala lala la la! I'm thrilled to share that I had the wonderful chance to team up with Canadian Tire for a holiday collaboration! I decorated a living room using silver holiday decor items from their CANVAS Christmas Collection! This was a tough secret to keep because I had an absolute blast and well, Christmas! The entire Canadian Tire team is a dream to work with, as is the wonderful crew who brings my vision to life! 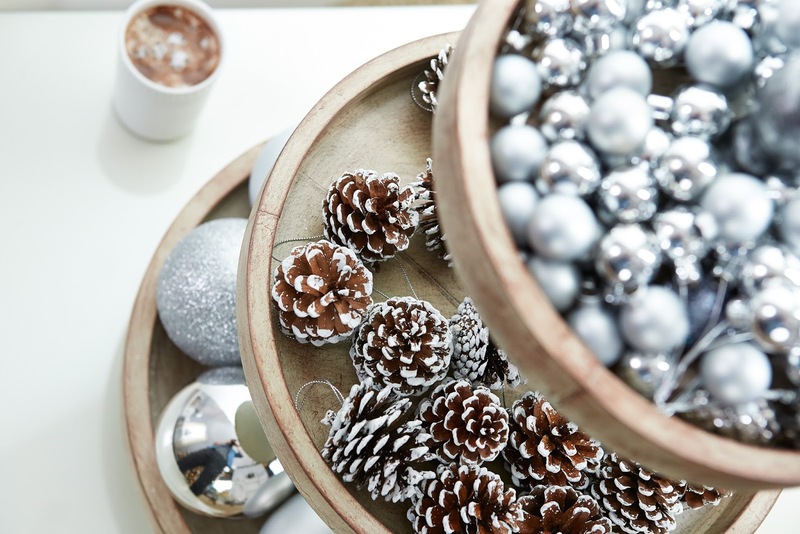 If you've been following me here for a while you know that I absolutely love Christmas and that silver is one of my favourite colours, so this was most definitely a project that I was excited to take part in from the get go! 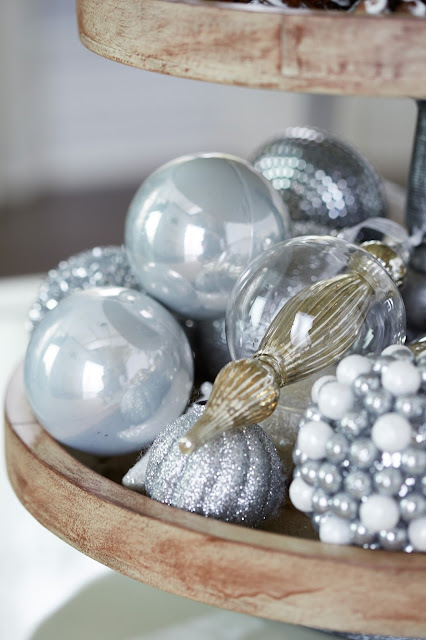 Silver is such a great colour to decorate with for the holidays because it pairs well with so many colours! You can easily change your accent colour from year to year! You can even go with an all silver colour palette and simply vary the textures and finishes of your ornaments and accessories to create visual interest. This living room truly has a special place in my heart. I find it to be so soothing and welcoming with just the right amount of glitter and sparkle, perfect for holiday gatherings. My inspiration for the space was just that! A traditional room with lots of personality where you could sit and enjoy the festive season with family and friends! You can see all of the inspiration for this room here on Pinterest! 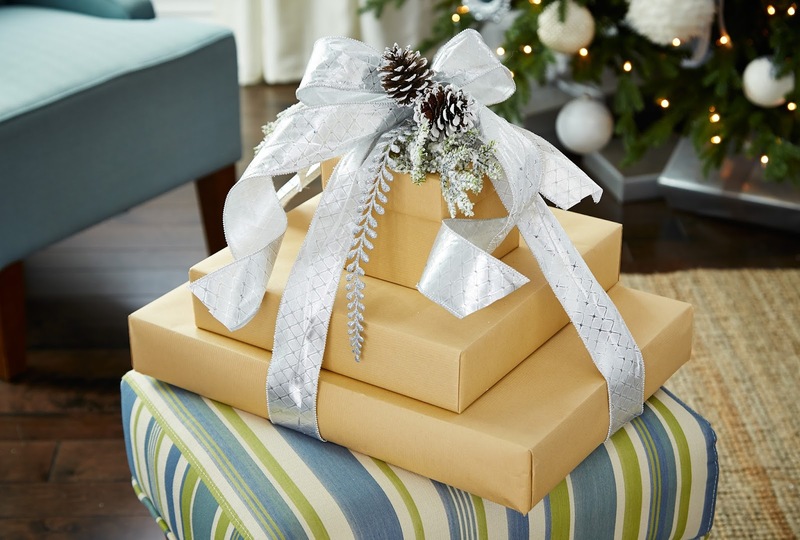 What I love about the silver CANVAS Christmas Collection is the wide range of products that are available, which makes decorating for the holidays an absolute breeze. 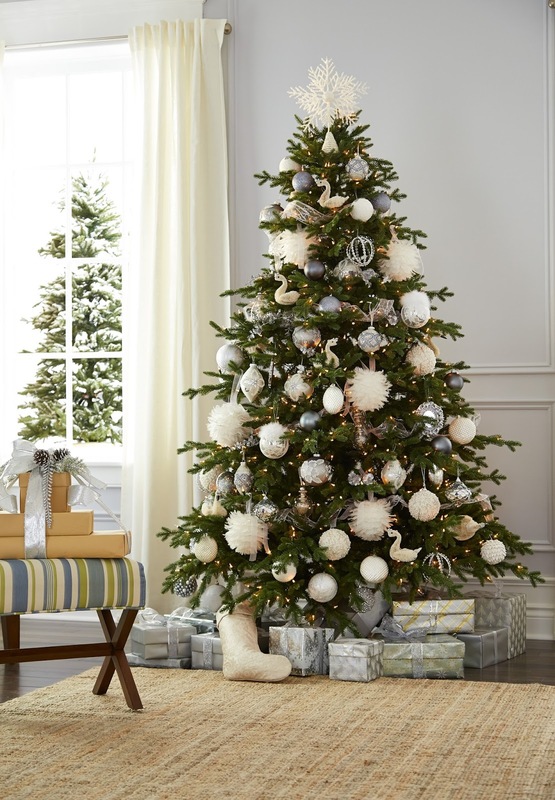 There are decorative accessories, ornaments, wreaths, trees, lights and more, all ready for you to take home! 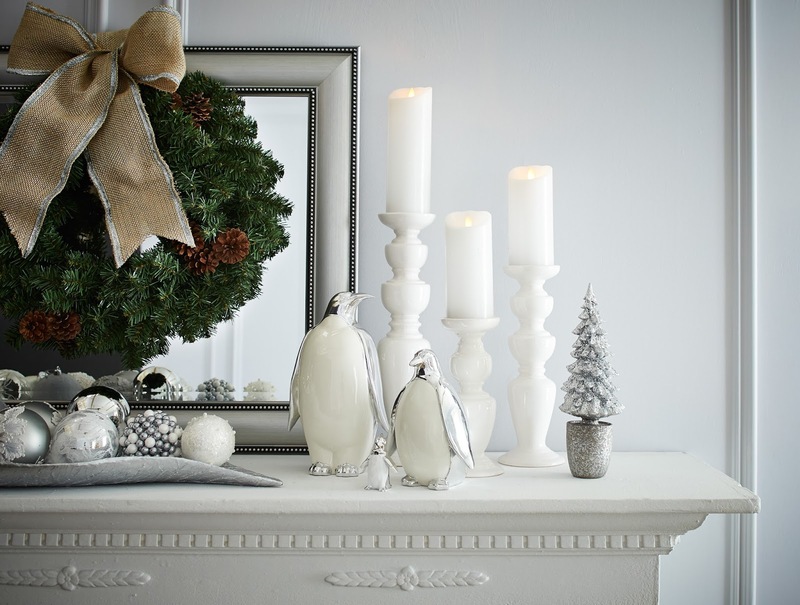 A large owl, silver plated penguins, metallic leaf tray and white candle holders, are just a few of the festive elements that help to bring a stunning dose of the holidays to the mantel. 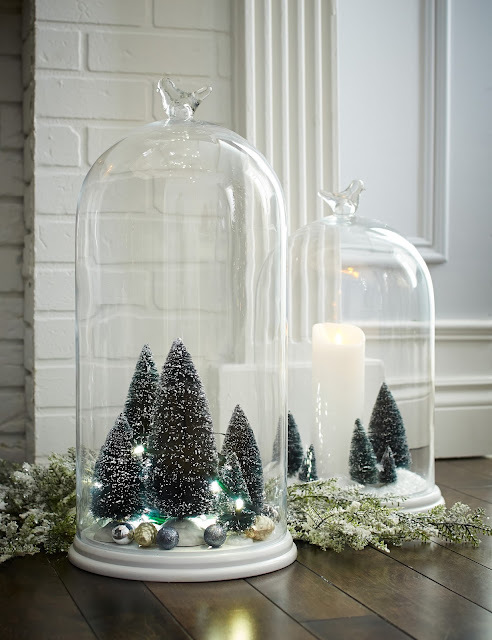 Glass cloches featuring a DIY wintery scene, holiday inspired pillows and a pinecone wreath help to fill the space with all things holiday. And yup, they are most definitely all available at Canadian Tire! 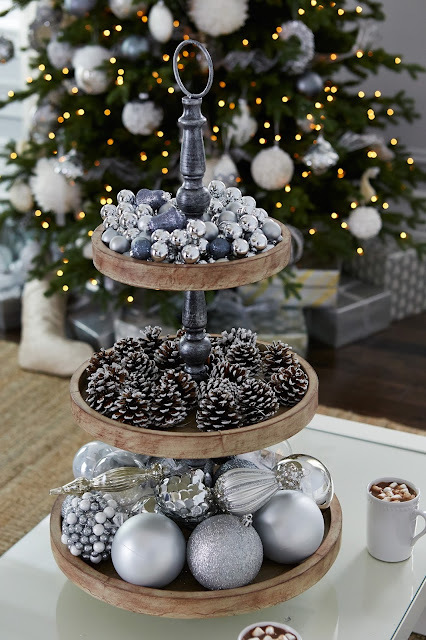 The focal point on the coffee table is this absolutely stunning tiered stand. Stunning. What I love most about it is it's versatility. I chose to place snowy silver pinecones and a variety of gorgeous silver ornaments on each tier. Ornaments are certainly not just for the tree! If you take a look around the room, you'll also find them in decorative vases, cloches and on the metallic tray. You can really make an impact by selecting a variety of ornaments and displaying them in creative ways throughout your space! Now, lets talk about that tree. Ahhh…the tree. Would you believe it's not real? So good, I know. Even better is that it's pre-lit! Beautiful feather ornaments fill any gaps and a touch of softness. Glass teardrop ornaments with mercury insets add a hint of glam and gorgeous flower painted glass ball ornaments sit perfectly next to lovely crown-wearing swans. The ornaments all work so beautifully together! If you like to have a little something under the tree prior to Santa's arrival, consider making this adorable DIY present trio! You can find the tutorial here! 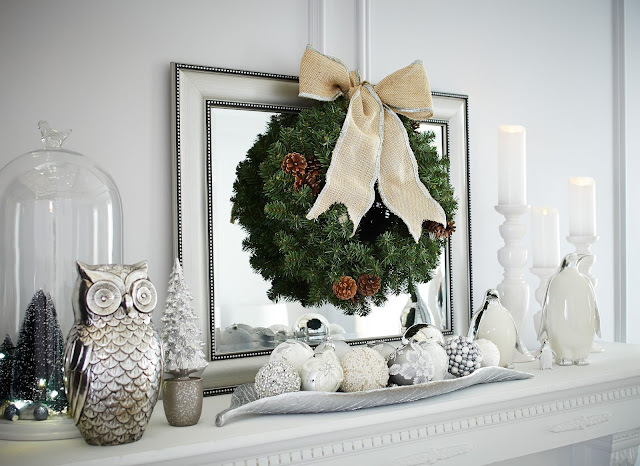 This space encompasses everything that I love about the holidays! 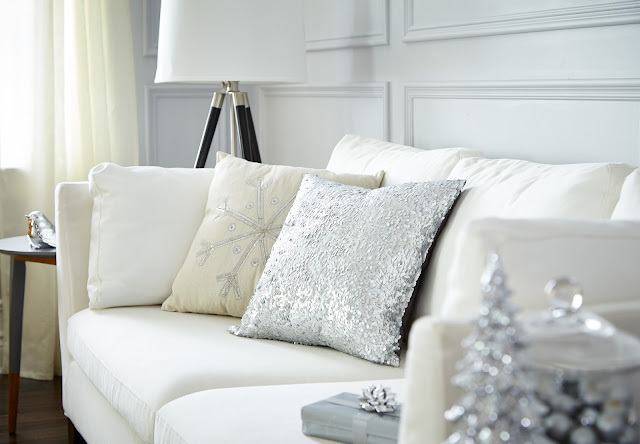 A little sparkle, a touch of shine, a hint of glamour and complete coziness! You can find more style and decor tips as well as DIY's and my favourite holiday tunes and traditions right here! Want more?! Fabulous! Be sure to take a peek at the other colours from the CANVAS Christmas Collection! Teal, red, gold and green! And of course, we can't forget about the brights! 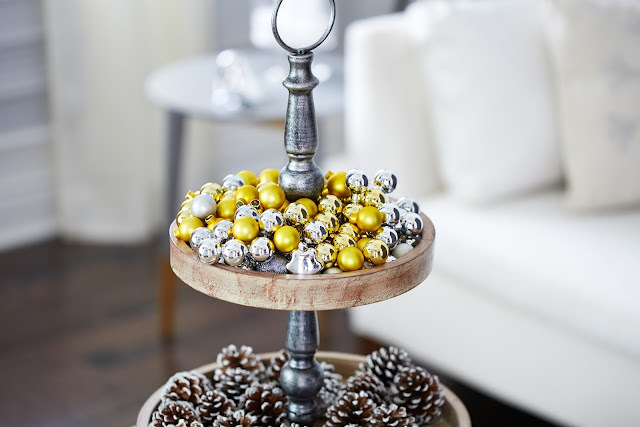 Fun ways to add a cheerful dose of colour to your space during the holidays can be found here. A huge thank you to Canadian Tire for this amazing opportunity! Love the room, Julie! I've been thinking of switching up my Christmas colour scheme from red/gold to blue & silver - guess I'd better check out the Canvas collection! Very very pretty! I think I might need to pick up one of those glass cloches to add to my collection.